The disciples went into the town and brought back bread. The woman of Samaria went into the same town and brought back a harvest of souls. What a magnificent teaching lies in the text of scripture today. 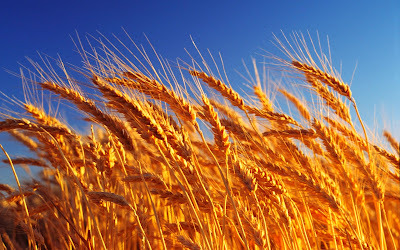 We have been saved by an amazing grace, we are made alive by Christ, we are set apart as holy by Him to enjoy a relationship with Him, we are commissioned to carry His Gospel to the four winds of the earth, yet we so often forget or set aside these glorious realities and callings to grub from bread and to dig for water. Not only to strive for bread and water, but forget the true Bread of Life, the true Living Water. Too often we forget or set aside what Christ came for, what Christ died for, and what Christ saved us for - to reap a harvest. And not a harvest that will one day come if we wait patiently. We have time. The season of harvest is far off. We have at least until some predictable time. A time after we have labored for that which is not true bread or living water. The harvest is now ready, prepared for the harvesters, the grateful, the ones so filled with the Living Water, and the Bread of Life that they desire to tell all they know of what it is and from Whom it comes. The woman of Samaria truly got the message and truly met the Messenger and she immediately saw herself not as a recipient of grace, but as a vessel of grace, speaking it, living it, bringing in a harvest with it!